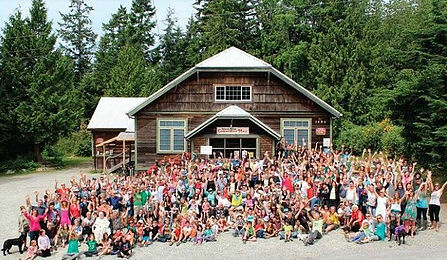 The Roberts Creek Community Association (RCCA) is a not-for-profit membership based organization. We strive to support the Roberts Creek Community in a diverse range of ways. • aproned stage, 4 spot lighting grid, greenroom, drapery, ladders for hangs and basic P.A.